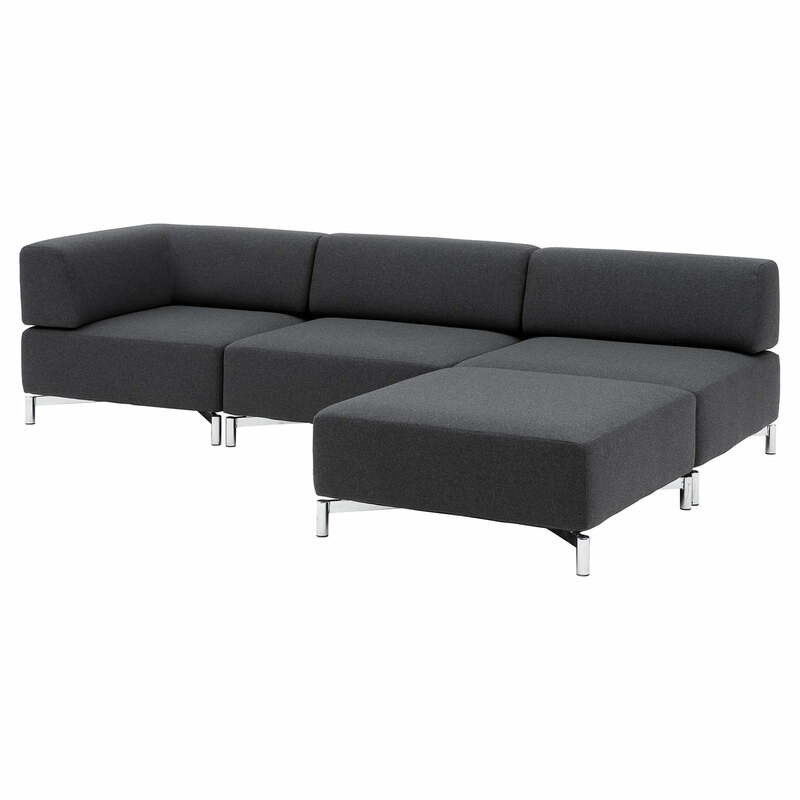 The Planet Modulsofa from Softline convinces with its simple design and concentrates on comfort and tranquillity. The module series consists of three elements. Corner module, individual element and stool allow a multitude of combinations that adapt optimally to every room. Whether compact sofa for 2 persons or corner sofa for the whole family, the Planet modules never seem dominant or intrusive. The modules consist of foam padded elements. Covers are available in different fabrics and colours. The legs of the modules are made of chrome-plated steel and provide a light, floating look. The modules can be securely and stably connected with Velcro. The result is individual sofa combinations with a modern, timeless look. Details Velcro included. Removable covers. Replacement covers are available. 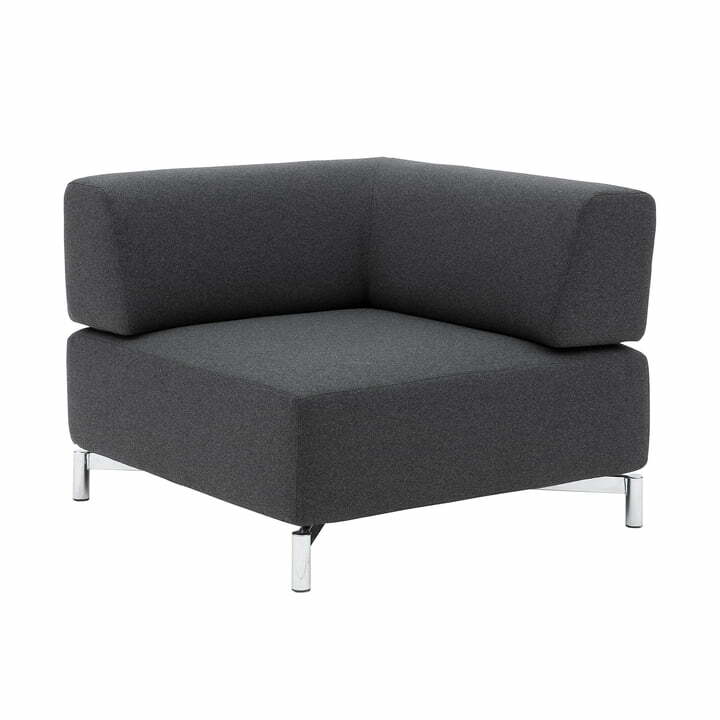 The Planet modular sofa corner element from Softline with a steel base in chrome and the cover felt melange in grey (623) made of 70% wool, 25% polyamide, 3% acrylic and 2% polyester. 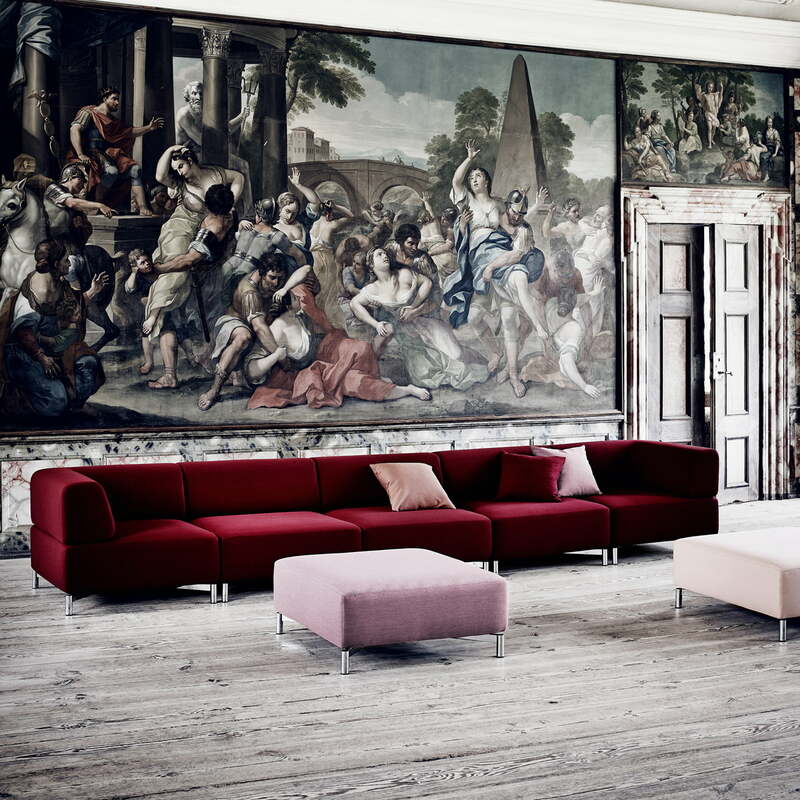 The Planet Modulsofa from Softline convinces with its simple design and concentrates on comfort and tranquillity. The module series consists of three elements. Corner module, single element and stool. Whether compact sofa for 2 persons or corner sofa for the whole family, the Planet Modulsofa by Stine Engelbrechtsen for Softline never seems dominant or intrusive.